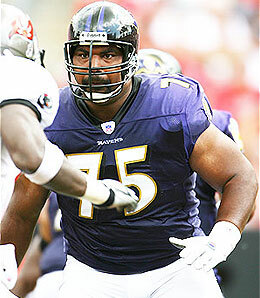 Jonathan Ogden Retires Right After Strahan,Did they plan this out?…. Mmmmmmm!!! ~ by Rod on June 12, 2008. I have wome questions about that football player. Is this the guy that the 3 robbers were knocking on his door? This entry was posted on June 12, 2008 at 11:33 pm and is filed under Uncategorized.You can follow any responses to this entry through the RSS 2.0 feed.You can leave a response, or trackback from your own site.